There are many opinions out there on how to be a good chef – just ask any restaurant owner and they’ll tell you what they prize most in the person that runs their kitchen. However, it’s not quite so easy to find out how to become a chef that restaurateurs fight over and other chefs want to work for and learn from. 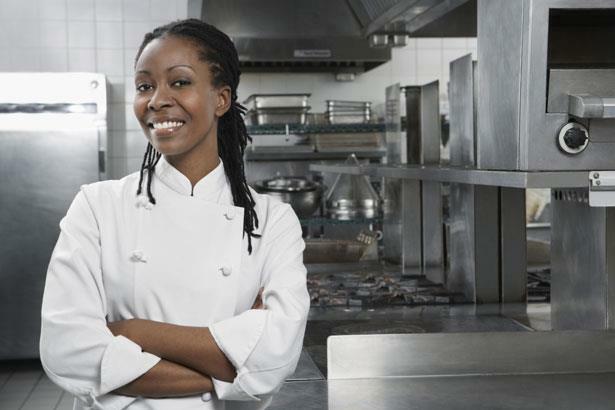 Here’s a list of seven traits, characteristics, and qualities needed to become a true leader in the culinary industry. Technical Skills: This may go without saying, but all chefs need to have a proper foundation before they can progress in their careers. Study of classical cooking techniques as well as immersion in several specific types of cuisine are both key to becoming a well-rounded chef. Without having the basic cooking skills taught by virtually all culinary schools, you will not have the tools necessary to grow as a professional, devise innovative dishes, and inspire staff to follow your vision. Imagination: Creativity and a willingness to try new things are traits shared by all the greatest chefs. Attempting ideas that haven’t been done before in the kitchen will not always lead to success (and will often result in failure), but it is the inclination to jump out on a limb that matters most. There are many chefs in the world who can cook a perfect medium rare filet mignon, but not many who can prepare the king of steaks in such a way that it makes other chefs rethink their own approach to cooking. Financial Acumen/Business Sense: As important as proper technical training and creative flair are for a chef, they don’t amount to much without knowledge of how to spend wisely and plan strategically to grow a business. Financial acumen is a vital quality because the culinary world, ultimately, is a business. It’s an industry that depends upon ordinary folks spending their hard-earned money on a night out, so without a certain level of marketing and economic knowledge, even the most talented and inventive chef will not be able to get their grand ideas off the ground. By taking a business management course or being mentored by a respected associate on elements such as purchasing, inventory control, cost analysis, and product pricing, you will set yourself up to take that next step and progress from a chef to an entrepreneur. Leadership & Teambuilding: The capability to get staff to buy into your plans and inspire them to give their all is another integral component of a great chef. Generating consensus from a variety of people with their own objectives and motivations is difficult to do, but the best chefs are able to lead their teams by example and bring diverse groups of workers together for a common goal. Always remember, being an exceptional manager is not just about doling out orders and delegating tasks. The best leaders identify the talents of their employees and nurture those abilities to improve the organization as a whole. Open to Suggestions & New Approaches: No great chef was born great. All of the most famous culinary stars had to get their start somewhere, and they were all mentored by someone else. That means that they had to accept advice at some point in their careers, admit that they did not know best, and understand that there was something they could learn from someone else. Most chefs are famous for having egos the size of their Viking ranges, but you will have to put your ego aside from time to time in order to get to the top. By listening to the opinions of customers, colleagues, and critics, you may arrive at an idea that you would have never thought of on your own. You can’t please everyone all of the time, so it’s important for a chef to have thick skin and never take constructive criticism personally. Drive & Ambition: It’s a bit cliché, but to be a great chef, you really have to “want it.” No one becomes the next Alain Ducasse, Emeril Lagasse, or David Chang overnight. It takes years of dedication to rise to the upper echelons of your field and without the right attitude, you won’t get there. Most of the top chefs have failed at least once in their lifetimes or had significant setbacks that might have derailed their careers altogether, but they didn’t let those obstacles stop them. You must have confidence in your skills and the drive to keep going even when it seems impossible to attain success. This is true in virtually all fields, but especially so in the cutthroat restaurant industry. It can seem like an arduous journey to become a revered chef, but if you have a passion for cooking then you’re already well on your way. Many of the best chefs have taken different routes to reach their positions but virtually all of them have common traits that played a critical role in their success. Nearly all of these traits can be learned and nurtured. By cultivating your technical skills, creativity, business sense, leadership, commitment to quality, open-mindedness, and ambition, you will have the major tools necessary to progress in your career and become not just a cook, but a respected executive chef and entrepreneur.